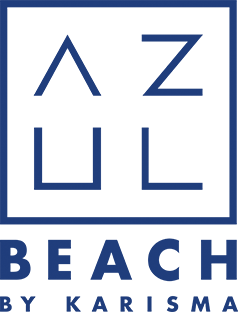 Azul Hotels redefine family events. The three hotels feature family-oriented suites, kid's clubs, infant equipment, child toys, and free family reunion coordination. Romance is also ensured for your destination wedding with Jacuzzi swim-up suites, candlelight beach dinners, and Beachfront Sky Massages. Night entertainment, mojito tastings, a la carte dining and innovative 12-course meals top off the Gourmet Inclusive® philosophy. Rooftop barbecues, s'mores parties on the beach, and 24-hour room service expand on restaurant dining. A six-suite beachfront luxury villa is also on offer. Azul hotels offer the perfect Caribbean settings in Gourmet Inclusive® destination weddings.